Launched in February 2015, Resorts Casino wasn’t among the first sites to appear on the regulated NJ online gambling market. However, the quality of the site’s games as well as its strong branding have allowed it to become a popular pick among New Jersey gamblers. The site is tied to Resorts Casino Hotel in Atlantic City, which is also the local partner of Mohegan Sun and PokerStars. The casino’s real-money games are offered under license number NJIGP 15-008 and are available only to players physically located inside New Jersey state lines. Head to Resorts online casino to claim your new player bonus! There are two parts to the Resorts’ opening offer that you get when you use Resorts’ bonus code MAXBONUS. First: You get $20 free, with no deposit required. To be able to cash out the bonus or any winnings from the bonus, you need to wager 5x the bonus amount on slots or 25x the bonus amount on table games, roulette or video poker. Second: Resorts offers a 100 percent, first-deposit match, capped at $1,000. The playthrough is 20x for slots and 100x for roulette, video poker and other table games. If you opted for a $20 bonus, every $1 that you bet on slots would net you 0.05c toward clearing it (1/20). However, if you bet on roulette, every $1 would count as 0.01c (1/100). This means that one way of clearing this bonus would be to wager $300 (300/20 = 15) on slots and $500 on roulette or blackjack (500/100 = 5, 5+15 = 20). Sign up a new account at Resorts now! 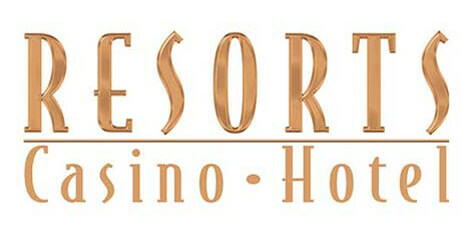 Resorts enjoys great brand recognition in New Jersey, being the oldest land-based casino in Atlantic City. As such, the legal NJ online gambling arm of Resorts is instantly identifiable by online gamblers in the Garden State. We like the site for its humongous game library but wish that it had a no deposit offer for NJ online casino players. Despite that, with frequently-changing short-term promotions and new games being added constantly, there's a lot to like here. Resorts Casino is among the best online gambling sites in New Jersey when it comes to game selection and the opening bonus. Unfortunately, its loyalty program and recurring promotions are average. However, unlike most other casinos, it doesn’t have any serious drawbacks. All things considered, Resorts offers the complete package, which Mohegan Sun and Pala Casino can match. Create an account and provide the casino with some personal information. Also, you have to be 21 or older. Install Resorts’ geolocation plugin, called GeoComply, which you can download once you log in and try to access any of Resorts’ real-money games. Be within the borders of the New Jersey whenever you play and have an ISP that makes it possible for the casino to determine your physical location. Your session will end if you leave New Jersey during a gaming session. Resorts Casino runs on a software package developed by NYX Gaming. NYX is a major player in the iGaming industry, as its products are used by more than 200 operators worldwide. What’s more, the open gaming system (OGS) package is compatible with games designed by the vast majority of third-party developers. Resorts offers slots and table games by the following game creators: Aristocrat, IGT, Williams, SG Gaming and NetEnt. From a client’s perspective, Resorts is a browser-based casino with easy navigation. You can download the dedicated mobile app from iTunes or the Google Play stores. Please note that the app is not mandatory, as the web version has a separate interface for mobile connections. Resorts Casino isn’t the only OGS-powered regulated NJ gambling site. Mohegan Sun, which is tied to the land-based Resorts venue in Atlantic City, runs on the same version of this package. From a software perspective, the differences between the casinos two are purely visual. While the gaming selection is identical, both sites offer slightly different bonuses and loyalty programs. Resorts offers more than 500 casino games, and its game library grows at an accelerating rate. The most recent additions include slots such as Wizard of Oz: Road to Emerald City, Bar-X Colossal, Pigasus and Friends, Secrets of Christmas and Wild Run. Bringing fresh games from a variety of developers that are well-regarded all over the world is the name of the game over at Resorts. Keep in mind, this doesn’t make Resorts better than the other regulated New Jersey casinos. All the top-tier sites, including Virgin, playMGM, Tropicana and Golden Nugget have access to the same games. Generally speaking, the majority of games available by licensed NJ sites are better than at offshore sites, such as Bovada. Resorts gives you access to five blackjack games. Blackjack (NetEnt) and blackjack (IGT) are fairly standard regarding rules. There are six decks in play, dealer stands on hard 17s, doubling down and splitting is allowed, and the blackjack nets you a 3:2 payout. Vegas blackjack is played with four decks, and the dealer stands on soft 17. Atlantic City blackjack is a single-deck game, which is available in micro, low and high limit variants. Finally, Micro Limit blackjack is played with eight decks, and the dealer stands on soft 17. If you want to learn the game, you should focus on this title first. Eight roulette games in total are available, including American and European. As usual, we recommend sticking with the European variant of the game. In American roulette, the wheel has two zeros, which means that the house has a 5.26 percent edge. In European roulette, there is only one zero, reducing the house edge to 2.70 percent. Resorts Casino features two European roulette games. The one designed by NetEnt is slightly more popular, but in the end, the choice between the two is a personal preference. With more than 400 options, Resorts’ slot selection is nothing short of impressive and compares favorably to the likes of Caesars and even Golden Nugget. Even better, none of the games are outdated – visuals and sound effects tend to range from decent to absolutely amazing. Resorts calls its loyalty program Resorts Rewards. This level-based system is slightly simpler than what you’ll find on Mohegan Sun. Resorts offers significantly better cash back on roulette play, however. You need to keep earning the RPs required for a given tier to maintain your rank. Regarding cash back, the above amounts to between 0.025 percent and 0.00625 percent for Bronze players (depending on games played), all the way to between 0.22 percent and 0.055 percent for Diamond account holders. This is, overall, a poor offering compared to other New Jersey online casinos. Depending on your level, you can also earn extra benefits, such as exclusive Resorts Casino offers, or discounts on entertainment and free stays at Resorts Atlantic City. Much like Mohegan Sun, Resorts is average when it comes to limited-time promotions. The overall value of these offers is quite high when compared to what’s available at Caesars or SugarHouse, but pales in comparison to what Harrah’s, Virgin and Tropicana offers. It’s worth pointing out Resorts adds new short-term promotions more frequently than Mohegan Sun does. For example, when Mohegan Sun offers a $1,500 giveaway, Resorts has the same giveaway tuned down to $1,000, but with an additional iPhone X giveaway and Sunday prize draws. The value is very similar, but Resorts keeps it more entertaining. Resorts Casino offers a wide range of banking options and compares favorably with most other regulated NJ online gaming sites. PayPal: Quick, easy, and enables PayPal cashouts. If you own a PayPal account, this should be your first choice. ResortsCard: It’s fairly typical for NJ casinos to issue their own prepaid cards. You can load it using your credit card or bank account. Online bank transfer: This method is reliable and fast, but you should consult the list of supported banks first. Pay Near Me: You can deposit to Resorts at your local 7-Eleven. Resorts Casino cage: If you enjoy gambling in a land-based casino setting, you can load up your online account directly at Resorts’ Atlantic City venue. Visa/MasterCard: Not recommended as it suffers from high rejection rates. Instant e-checks: Fast, but if your payment is denied, you’ll be forced to cover all relevant fees. Not recommended. PayPal: Only available if you deposited using this method. ResortsCard: Quick and easy. Use wherever Discover cards are accepted. Instant e-checks: Available only if you’ve already made an e-check deposit. Resorts Casino cage: If you have a Resorts Casino account, you can cash out directly at the casino cage. Don’t forget your ID. Players can access Resorts Casino’s Help Center, essentially a glorified FAQ page, by clicking the “?” icon in the upper-right corner of the casino page. The list of available topics is extensive, but unfortunately many answered are not as detailed as they should be. On a brighter note, getting banking-related information is easy, as the casino has recently added a separate “banking” section to its “Getting Started” tab. The information available there is very extensive but, oddly enough, you can’t access it from within the help section. Email support using the form on the website: Expect a response in a few hours. The quality of email support is hit and miss and largely depends on the consultant handling your inquiry. Chat support: Click the icon located in the lower right corner of the page and enter your email to begin speaking with a casino representative immediately. Toll-free phone support: Call 844-990-4263.